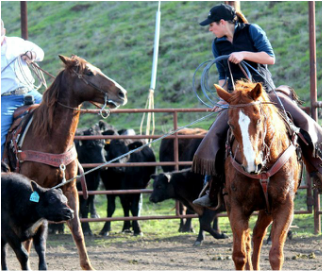 A graduate of Fortuna High School, Brandi chose to attend Cal Poly and receive a Bachelor of Science in Animal Science and a Master's in Agriculture Education. Ms. Crivello teaches Veterinary Science, Animal Science, Wood I/II, Agriculture Biology, and Ag Leadership. She has two dogs named Cali and Meg and a horse named The Bay. In her free time she enjoys riding horses and working cattle.